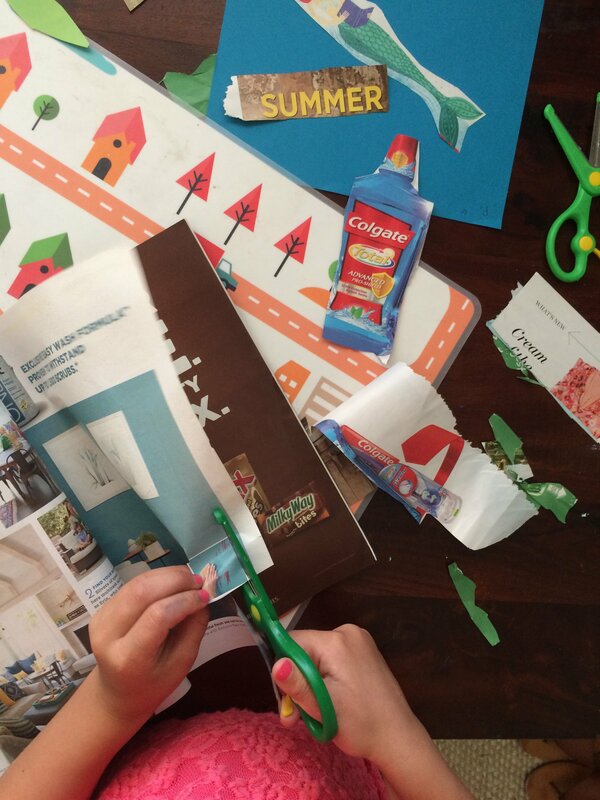 I love to collage with my kids because it is really relaxing. The art that is generated out of collaging is so unique too. 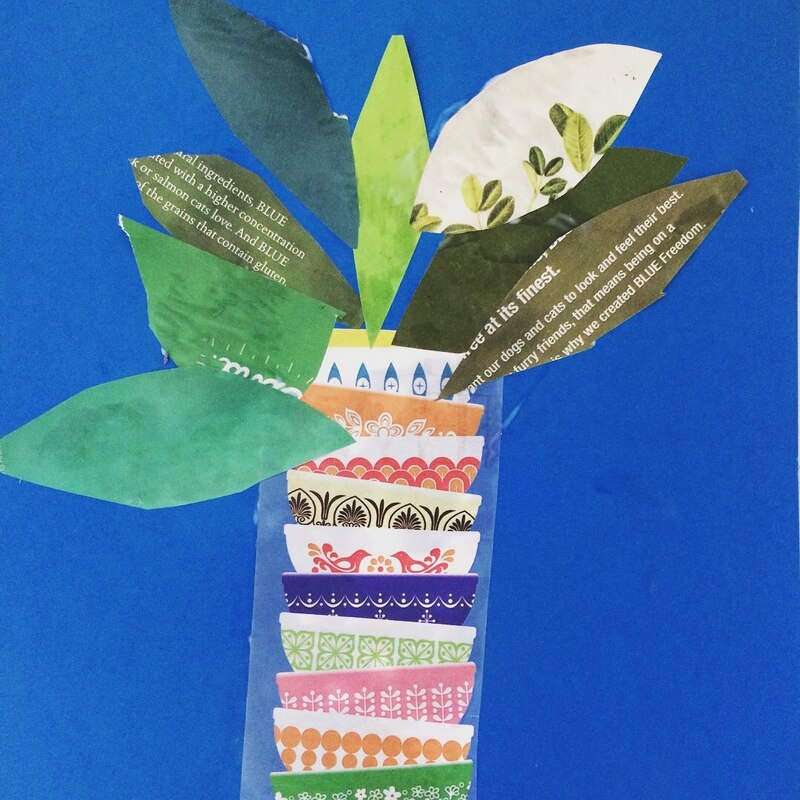 Check out this plant collage my daughter and I came up with. 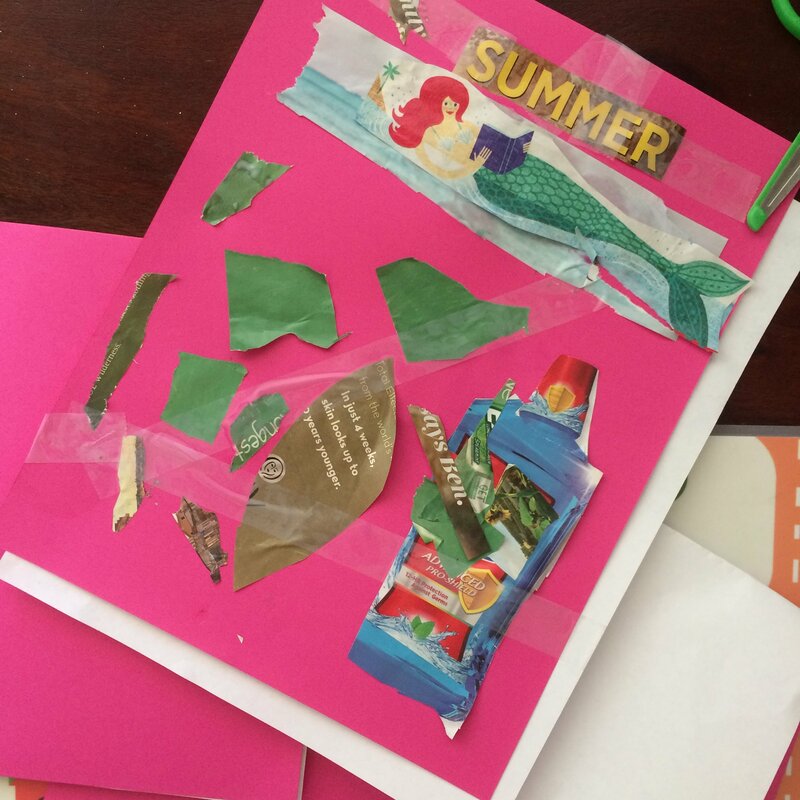 We gathered up some scissors, glue, old magazines and cardstock to get started. I asked her to help me look for green, different shades, throughout her magazine and I did the same. 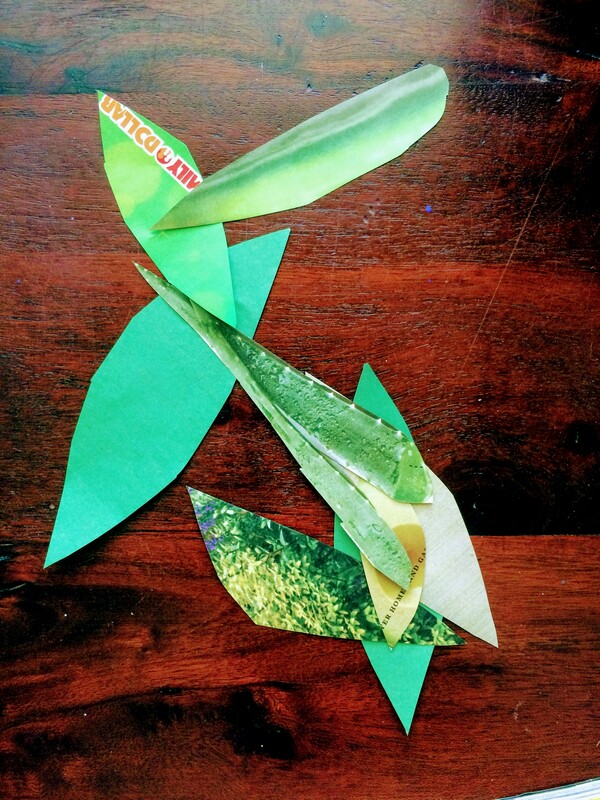 When we found green pages we cut and tore out really simple leaves. After we had come up with a stack of them we then searched for a container for our plant. I spied this really cool stack of colorful bowls but the options are endless, pics of pots and pans, cups, vases, boxes etc. Anything that leaves could be imagined growing out of will do. We used some elmers glue on a paper plate to dip our magazine cut-outs into but this is mainly because our glue sticks weren’t working. This dipping method worked pretty well to evenly spread the glue across the magazine scraps. Slowly, we built the collage together and it was really fun. This is a great learning activity but its also just a beautiful project to actually get to sit down and work on with your kids. 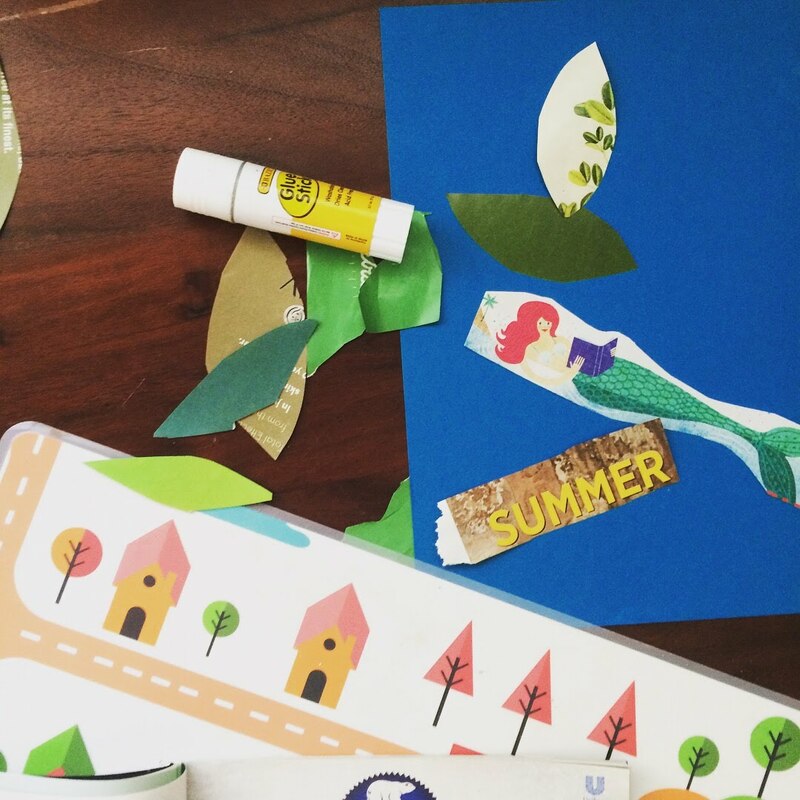 As we were finishing up the plant collage, we started another Summer themed collage with a mermaid in the center. This time we cut out the word “Summer” and an ocean scene. My daughter also chose a colgate mouthwash bottle which turned out to be a fun addition. I love projects that flow naturally, like this one. When we’re busy running from school to school and errand to errand there often isn’t enough time to prep projects. 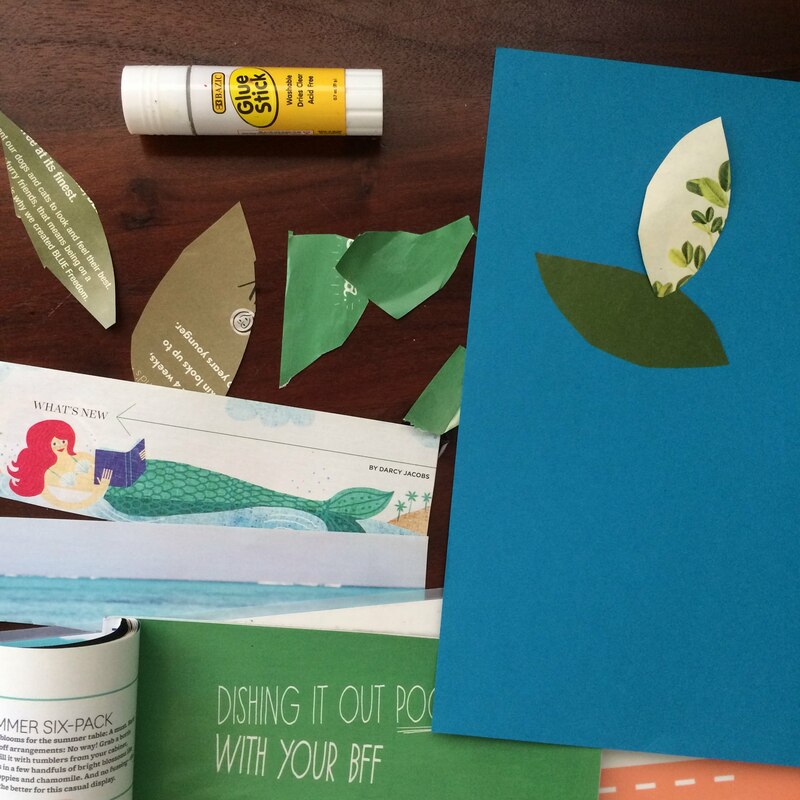 Collage is an easy go-to project with most supplies lying around the house. 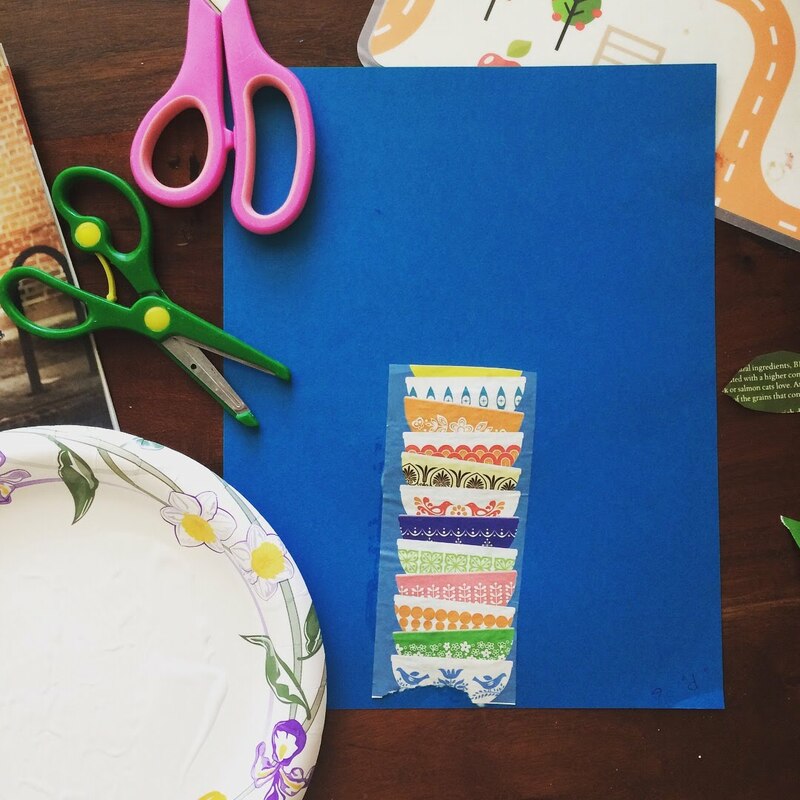 I plan to do a lot of these simple projects this Summer with all three kids at home. I love that collage works for all ages and that we can vary the theme. (The plant theme was a really nice one, I could see this collage being a pretty card). Be sure to pin this project and visit us again to see the projects we do this Summer! More projects are available in the Family DIY section and the Art Lessons section and then there are our painting tutorials on Youtube! We just finished a lesson on painting a flamingo. So fun! Have a good week!